Raydon Wood Station, Suffolk This on the former Bentley to Hadleigh Branch. 19th May 2009 The platform is still extant to the left of the house. 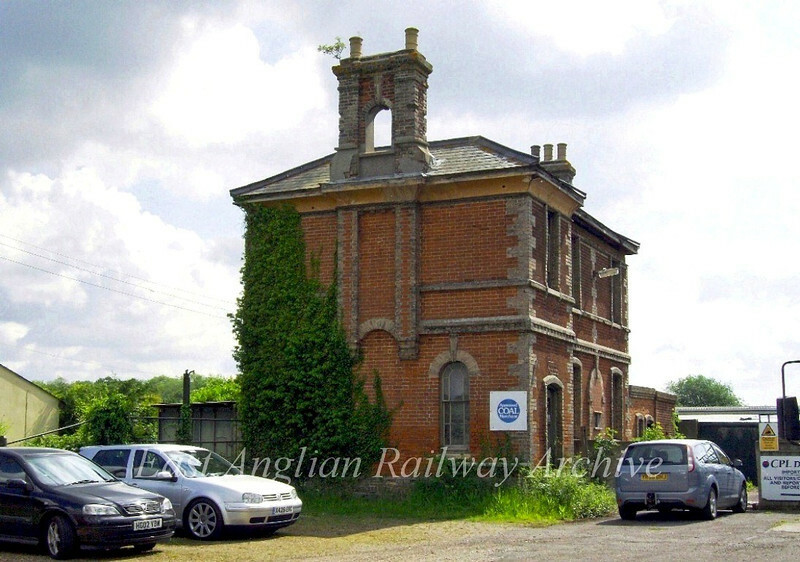 The station building originally had three chimney stacks, the missing one being reinstated 2012/2013 see next photo.